What Movie Are You Most Excited About In 2010? What Are Your Favorite Doctor Who Episodes? College Humor rewrote the introduction crawl for the "special edition" of the first Star Wars movie, episode IV: A New Hope. 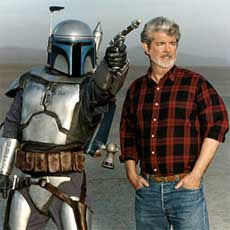 This version features the changes in the movie, revealing what George Lucas was probably thinking in his head when he remade it for the re-release. Kinda painful to see just how George screwed the movie up in the remake, but funny at the same time.